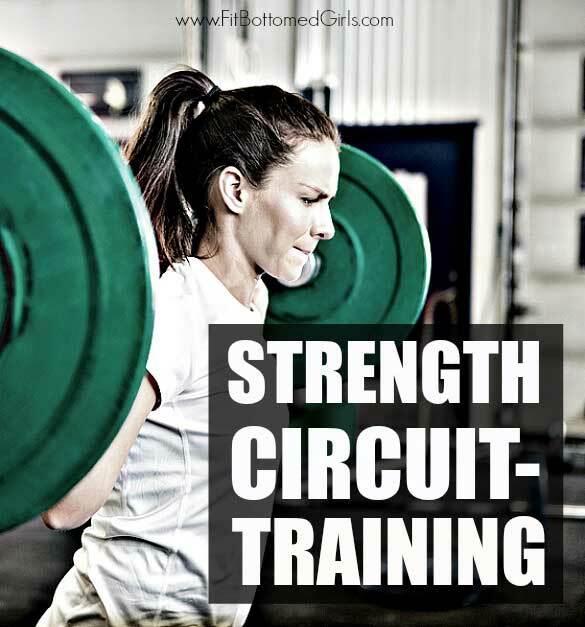 Workout I Did: Strength Circuit-Training for That Muscle! Need workout inspiration? That’s the point of us sharing our Workout I Did series. As always, these are workouts that work for us; use your best judgment if playing along at home! Many people are surprised I’ve been able to keep allowing my fiance to train me; most couples end up ripping each other a new one by the end of a good day’s sweat. That’s not to say that I’ve never wanted to kick Mark in his delicate areas for making me do extra anything though. I just happen to be addicted to his workouts—and the dang things work! According to my beloved, you should choose weights that are a bit heavier than you’d normally go. You’re going for strength here. You should start feeling the burn around the ninth or tenth rep. That’s how you know you’re pushing yourself! I just moved up this week in weights and, girls, does my body feel it! My husband and I started working out together when we were engaged and I totally agree with you…I am addicted to his workouts and I still see results! Your circuit work out reminds of my hub’s workouts he has designed for me. Gotta love the burn! @Sammy Shall we start calling it the “love burn”? I dig it! Love this post– heavy lifting blows my mind when it comes to results. Now, if only you had advice on how to GET your fiance to work out with you…;) lol. Working out rocks. Thanks for the post. Do you think it’s better to have a constant elevated heart rate. Or be more focused on the training.